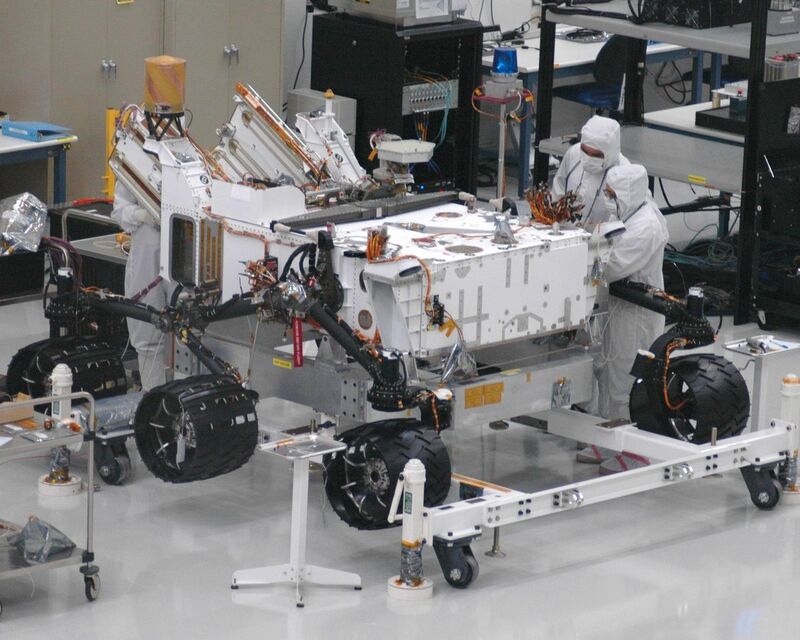 Mars rover Curiosity, the centerpiece of NASA's Mars Science Laboratory mission, is coming together for extensive testing prior to its late 2011 launch. 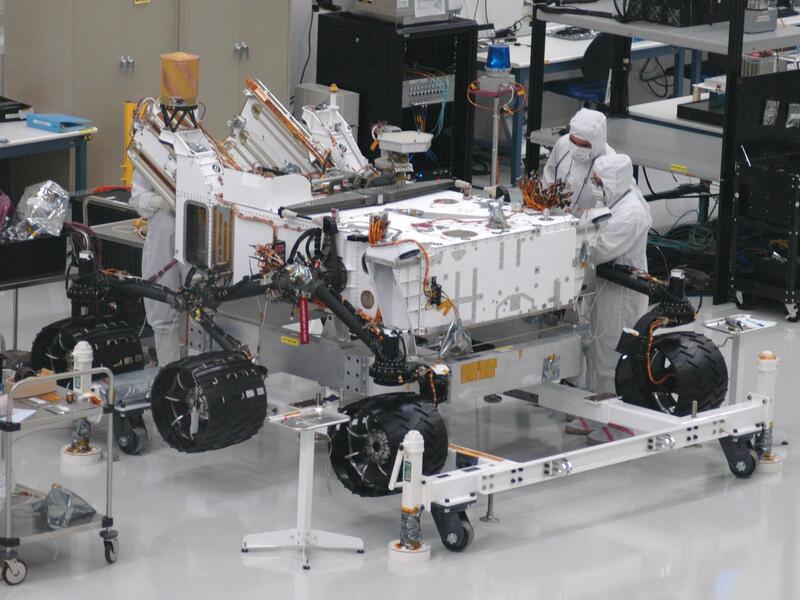 This image taken June 29, 2010, shows the rover with the mobility system -- wheels and suspension -- in place after installation on June 28 and 29. 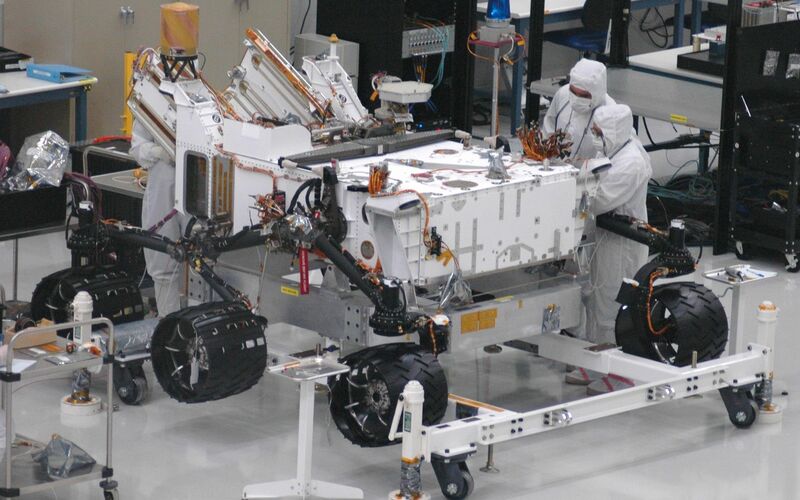 Spacecraft engineers and technicians are assembling and testing the rover in a large clean room at NASA's Jet Propulsion Laboratory, Pasadena, Calif. Curiosity's six-wheel mobility system, with a rocker-bogie suspension system, resembles the systems on earlier, smaller Mars rovers, but for Curiosity, the wheels will also serve as landing gear. Each wheel is half a meter (20 inches) in diameter.